Nestled in the azure waters of the Caribbean Sea, off the coast of Cancun, Cozumel is a beautiful island which offers some of the best snorkeling and scuba diving in the world. The island is mostly undeveloped with the exception of the extensive coastal area where you will find a wide variety of resorts catering to all tastes and budgets. If you are looking for an intimate adults-only resort on the idyllic island of Cozumel you need look no further than Secrets Aura Cozumel. The accommodation is designed to offer guests the perfect Caribbean vacation featuring rooms and suites overlooking the ocean or the pool, many of which offer direct swim-up access. You can simply relax on a recliner on the beach or try your hand at a wide variety of activities including golf, snorkeling or scuba diving in the crystal-clear waters, sailing, wind-surfing, paddle-boarding and kayaking. Guests staying at Secrets also have full access to all the facilities at the neighboring Sunscape Sabor Resort which means you can choose from nine restaurants, several pools and a sensational Spa. As you step into the elegant foyer of the Inter-continental Presidente Cozumel you will know you have made the right choice for your Cozumel vacation. The hotel is perfectly located on a palm-fringed beach with direct access to one of the world’s largest coral reefs and offers expert tuition for new-bee snorkelers or scuba divers. All the comfortable rooms and offer contemporary furnishings and either pool or ocean views, king-size beds and private balconies. You can choose from four restaurants (all of which overlook the ocean) serving Caribbean, Italian and Mediterranean cuisine. You can practice yoga at the Fitness Center or have a relaxing massage or treatment at the Spa. If you enjoy a little more space than the overage hotel room offers, you will enjoy a vacation in one of the stylish apartments at the Landmark Resort. The resort overlooks Dzul Ha Reef and pristine white-sand beaches and each of the apartments has a private balcony with un-interrupted views of the Caribbean Ocean. Each of the residences offers the last word in five-star luxury featuring king-size beds, elegant furnishings, granite kitchens and Kitchenaid appliances. Of course, you do not need to self-cater unless you would like to; the Money Bar Beach Club offers inclusive day-packages for all your meals and drinks as well as para-sailing, kayaking, snorkeling and much more. The luxurious All-Inclusive Cozumel Palace invites guest to dive in and explore the best activities both on-shore and under the water. Snorkelers will love the opportunity to snorkel straight off the jetty, and if you can never tried snorkeling and scuba you and learn on site. The rooms are beautifully appointed and designed for relaxation; each room features a sitting area, double whirl-pool tub, complimentary in-room bar and private balcony. You can choose from four restaurants serving delicious cuisine from around the world accompanied by unlimited wines of your choice. All guests receive resort credits which you can use to pay for exciting excursions, visits to the spa or a round of golf and the championship course. Located just a few miles from downtown San Miguel and within easy striking distance of some of the island’s best dive sites, the Fiesta Americana is an ideal family vacation destination. The hotel is surrounded by lush tropical forest and has a private beach club where you can enjoy snorkeling directly off the beach. You can relax on an over-water sun-bed or enjoy a variety of water activities at the boat dock. The contemporary-styled rooms are comfortably equipped with king-size beds (or two doubles for families) and some of the suites have private pools. 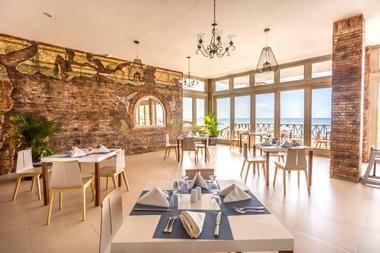 You have a choice of restaurants, both inside the hotel or at the private beach club. When you check into The Explorean Resort in Cozumel you are invited to completely disconnect from your normal life and embrace a vacation of self-discovery. The Explorean resort is fully-inclusive and your rate includes not only accommodation, food and drinks but also a fresh daily activity designed to challenge you to expand your boundaries and try something new. Activities include snorkeling, tours to the center of the island, bike rides, kayak tours, sailing adventures and visits to archaeological sites. The hotel is located just 8 minutes from San Miguel and 15 minutes from the Chankanaab Nature Park where you can swim with the dolphins or go on a nature hike. The family-friendly El Cid la Ceiba hotel is perfectly perched on the edge of the Caribbean Ocean just three miles from bustling San Miguel. The rooms and suites are newly-renovated and offer modern contemporary styling and brilliant sea views. The hotel’s Babieca Dive Center offers instruction in snorkeling and scuba diving and will introduce you to some of the best dive sites around the island. Other water activities you can try include banana boats, jet-skis and deep-sea fishing. 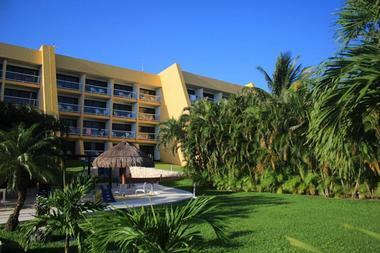 The resort also offers tennis and guests can play a discounted round of golf at the stunning Cozumel Country Club. 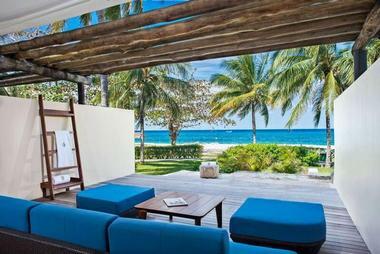 Two restaurants, a swim-up bar and the El Cocay Massage Center complete the picture. Another of Cozumel’s popular All-Inclusive vacation resorts, the Occidental Grand Cozumel enjoys a particularly beautiful location on a long strip of pristine white beach. You can spend your days soaking up the Caribbean sun on a beach lounger or work up a great appetite by trying a variety of water sports including kayaking, sailing, snorkeling or water-polo. The hotel is located close to one of the world’s best dive sites and the professional instructors at the resort can introduce you to unique Caribbean delights which include swimming with dolphins and turtles and admiring some of the world’s most colorful coral reefs. You can look forward to luxury accommodation, dining in seven restaurants, swimming in three pools and much more. Perfectly nestled between the lush tropical jungle and the azure waters of the Caribbean, the Grande Park Royal Cozumel beckons visitors to come and enjoy a sublime All-Inclusive luxury Cozumel vacation. While adults are kept busy trying a wide range of water sports children from five to twelve will love the kids-club entertainment featuring supervised pool games and much more. 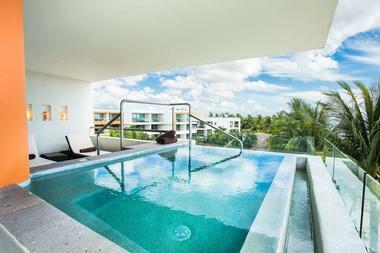 All the comfortable rooms have pool or ocean-facing balconies and there are two infinity pools right on the beach. Your All-Inclusive package includes meals at the never-ending buffet or two a la carte restaurants, drinks at five bars and lounges and nightly entertainment. Whether or not you are a golf lover, the Coral Princess Golf and Dive Resort is a great place to spend your Cozumel Vacation. The resort is perched on the edge of the Caribbean Sea, offering snorkeling directly off the jetty and an enormous infinity pool overlooking the ocean. Each of the comfortable rooms and suites has a private balcony overlooking the sea or the tropical jungle; suites have a separate seating area with flat-screen TV and some have kitchenettes. The on-site Dive Shop offers expert scuba and snorkeling instruction, snorkeling excursions and guided dives on one of the world’s most spectacular coral reefs. Golfers get a whopping 40% discount on their green fees at the Cozumel Country Club. 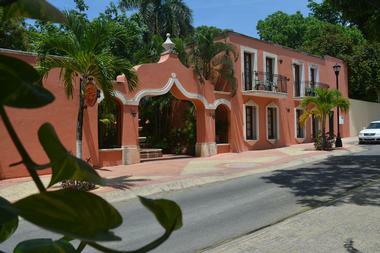 Casa Colonial has the look and feel of a small Mexican village, unlike most of the other hotels and resorts on Cozumel. Mexican Colonial architecture and brilliant colors combine to offer a genuine Mexican ambiance combined with comfort and relaxation. 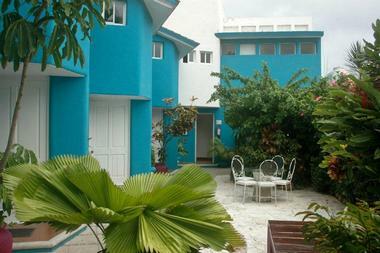 The apartments surround a large swimming pool and lush tropical gardens. Each apartment benefits from original art, Mexican style Colonial furniture and fully-fitted kitchens and has two bedrooms and two bathrooms. The resort offers a concierge service to arrange every activity you can dream of including snorkeling excursions, diving (and lessons), golf, swimming with dolphins, para-sailing, Spa service, private tours and more. Offering a budget-pleasing option in the heart of downtown Cozumel, just one block from excellent shopping and the water front, Mi Casa en Cozumel is an intimate boutique-style hotel which will place you within walking distance of just about everything. 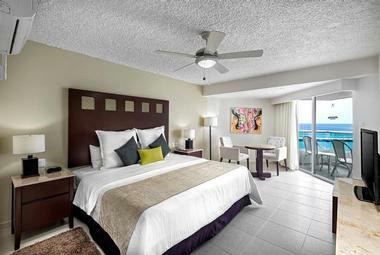 Each of the nine rooms has a king-size bed, crisp white sheets and touches of bright Mexican color. All the rooms have a private patio and most have air-conditioning. If you budget allows you should choose the top suite which has a large terrace with plunge pool and grill and a fully equipped kitchen. 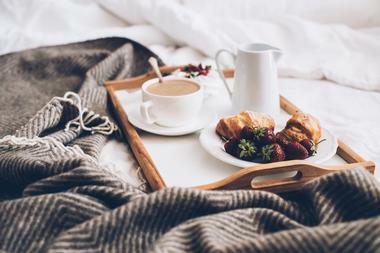 Breakfast is included in your rate and there are dozens of restaurants within a few minutes’ walk. Nestled between the beautiful green fairways of the Cozumel Country Club and the sparkling blue waters of the Caribbean Sea, the El Cozumeleno Beach Resort is an ideal Cozumel getaway for the entire family. The comfortable rooms all have view balconies and either one king-size bed or two doubles – ideal for families. On the edge of the pristine white beach you will find two large outdoor swimming pools with loungers and you can enjoy a wide range of water sports at no extra charge. You can take (free) introductory snorkeling and scuba lessons on site and resort guests are offered a discounted rate for a round of golf at the Country Club. Child-care facilities are available to keep the children super-busy and happy. At Iberostar Cozumel you can forget all about bland beach high-rises; the Iberostar Cozumel resort offers five-star luxury in enticing individual beach bungalows dotted around the lush tropical gardens, in keeping with a traditional Mexican theme. Each of the bungalow rooms has a king-size bed (or two doubles), modern luxury bathroom, private balcony with hammock and either beach or garden views. 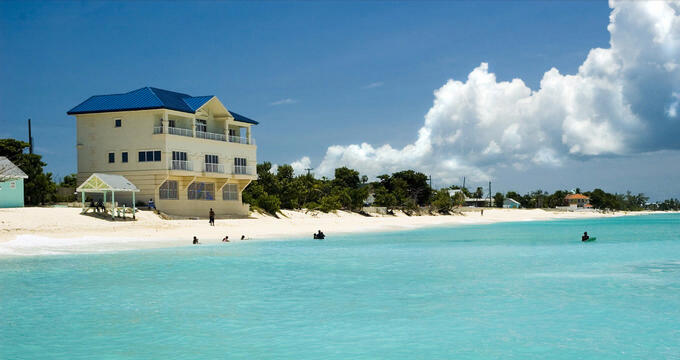 The resort is fully-inclusive and you will only need to pay extra for scuba diving and spa treatments. There are several restaurants, bars and snack bars you can choose from and the Star Camp will keep 4 – 12 year olds busy and happy while adults enjoy a variety of water sports. Nestled on the beautiful Santa Pilar Beach, just a short walk from restaurants, shops and nightclubs, Melia Cozumel Golf All Inclusive Resort is a great choice for your Cozumel vacation. The comfortable rooms all have one king-size or two double beds, balconies overlooking the ocean or the gardens and flat-screen TV and there are suites with kitchens if you prefer a little more space. The resort has excellent facilities for children and adults alike – you can spend your days enjoying sailing, windsurfing and kayaking or sign up for a snorkeling excursion or scuba diving adventure. For a change of pace you can enjoy a round of golf on the beautiful and eco-friendly Cozumel Country Club course. You can enjoy dining at several on-site restaurants and bars. 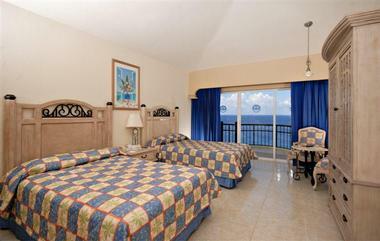 If you are travelling to Cozumel with the family the Sunscape Sabor Cozumel All Inclusive resort offers excellent value. To start with, up to two children receive free accommodation, food and activities when sharing a room with their parents. Parents need not worry about expensive activities, snacks and drinks – everything is included in your package. While parents relax on the beach or try a selection of water sports children can have fun at the supervised Explorer Club. You can choose from three a la carte restaurants, a buffet and the Wine Cellar for your meals and there are several bars offering all day drinks and snacks. 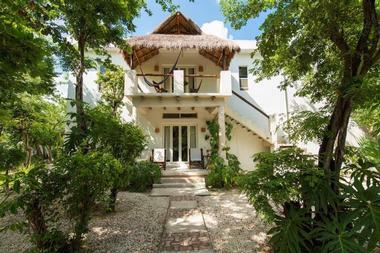 Casita de Maya Boutique Hotel takes great pride in offering all visitors exceptional service and all the little extras that make your holiday unforgettable. You can take your pick from seven room configurations – choose a twin bedded room, comfortable Queen Room or the largest of all, the Deluxe King Bedroom or the two-roomed Deluxe Family Suite. The hotel is located just ten minutes from the beautiful Playa Azul Beach where you will find a restaurant and bar and facilities for various water sports including para-sailing, jet-skiing, diving and snorkeling and kayaking. There are several excellent restaurants within easy walking distance and the hotel has an on-site restaurant open for breakfast, lunch and dinner. Cozumel visitors who prefer to stay in a self-catering apartment rather than one of the many fully-inclusive resorts on the island could find that Hotel Villa Las Anclas is exactly what they are looking for. Seven individual duplex villas surround a peaceful garden courtyard which is ideally located just one block from the beach, the ferry terminal and some of the best restaurants on the island. Each of the villas offers a bedroom with queen-size bed, two very comfortable sleeper couches in the lounge and an equipped kitchenette. In the courtyard garden there are gas grills for alfresco cooking and a swimming pool with waterfall. The hotel will arrange all you activities if you like or you can just stroll down to the dive piers. Especially popular with scuba diving enthusiasts, the Blue Angel Resort offers comfortable accommodation combined with exceptional diving facilities. The Blue Angel Dive Shop has been recommended as one of the best dive operations on Cozumel and diving and snorkeling excursions leave directly in front of your sea-view terrace several times a day. All the rooms at the Blue Angel are sea-facing and air-conditioned; you can choose from double or king-size beds and all rooms have a terrace offering superb views. The resort has a large swimming pool beside the ocean, an on-site restaurant and is just a short ride from the center of town. Special Stay and Dive packages are available for certified divers. 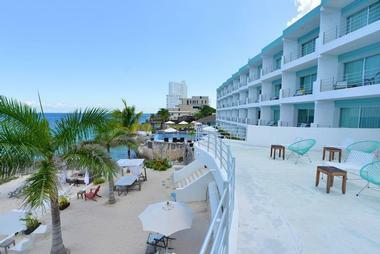 Conveniently located right opposite the Ferry Pier and the Main Square, the Hotel Plaza Cozumel offers great views of the island and the many visiting cruise ships. The hotel rooms are fairly basic but offer two double beds, flat-screen TV, air-conditioning and private bathrooms. Included in your rate is a cooked breakfast to set you up for a great day of diving or exploring. 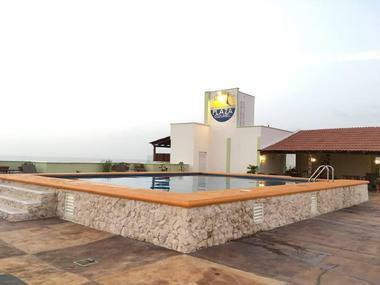 You can send some time soaking up the sun around the roof-top pool which is also a great place to relax and watch the sunset. The hotel’s very central location means that you are literally steps away from diving, snorkeling, shopping and dining options. Surrounded by lush tropical gardens, Villas El Encanto offers eight comfortable rooms and two family apartments located about 15min from the town center. You can dream away the days in a comfortable hammock in the shady garden or set off to explore all the wonders of Cozumel Island. The rooms and apartments feature contemporary décor, air-conditioning, private patios and some of them have kitchenettes. If you can afford to book the lovely honeymoon suite you will have your own private plunge pool. 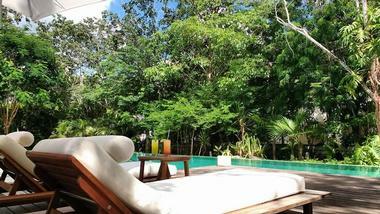 The property has a lovely pool and offers bicycle and scooter rental as well as a concierge service to book all your activities, tours and excursions. Located about two and a half miles from downtown Cozumel, the Casa de Mar Hotel and Dive Resort puts you in the ideal location to explore the famous Paraiso coral reef, a magnet for scuba and snorkeling enthusiasts. The hotel is surrounded by lovely green gardens and is directly across the road from the beach where you will find loungers, palapas, swimming pool, Jacuzzi and a beach bar. Snorkeling and diving could not be easier – the reef is just about on your doorstep. 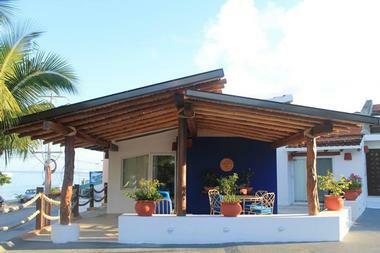 You can choose from a standard or deluxe room in the main building or opt for a comfortable garden cabana with kitchen. If you would like to find a comfortable hotel which offers an authentic Mexican atmosphere you need look no further than Hacienda San Miguel. The hotel is located just one block from the boardwalk and beach and the beautiful gardens and warm, inviting colors will enchant you the moment you step inside. The hotel consists of 11 comfortable suites with Queen-size beds, fully-equipped kitchens, air-conditioning, private bathrooms and lovely Mexican furniture and décor. The hotel is just four blocks from the city center and offers a quiet haven to escape to after a busy day of tours, water sports and diving, all of which can be arranged by the concierge service. Visitors who are looking for something a little different from their Cozumel accommodation could consider checking into the eclectic and trendy Hotel B, which is located on a private beach just five minutes from downtown Cozumel. Here you will find attractive air-conditioned rooms with private bathrooms, overlooking either the jungle or the brilliant blue Caribbean Sea. Some of the suites offer interconnecting rooms and a lounge, ideal for families. In keeping with the hotel’s chic and trendy theme you can join ocean-front yoga classes, music and cocktails in the floating bar, snorkeling directly off the jetty, Mexican cookery classes, kayak tours and much more. 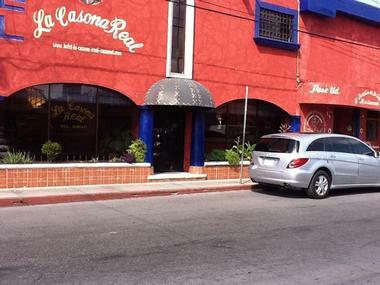 Hotel La Casona Real is a family-owned and operated hotel located three blocks from Downtown Cozumel. Although the hotel appears quite unassuming from the outside, the interior offers elegant Mexican décor and a selection of clean, comfortable and well equipped rooms which will please budget-conscious travelers. 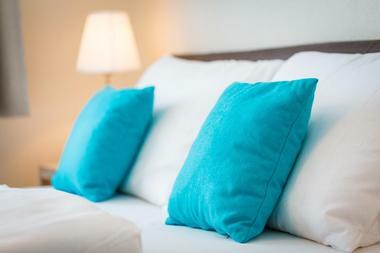 All rooms have a king-size bed or two double beds, Wi-Fi and private bathrooms. 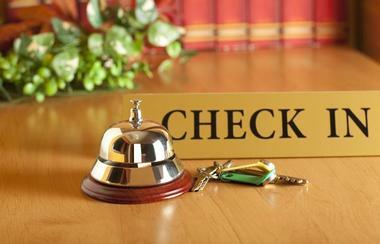 Your rate includes a full breakfast to set you up for the day and you are within walking distance of several restaurants and bars. There is a lovely courtyard swimming pool and the hotel concierge service will book all your dive-trips, outings and tours.